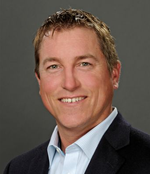 Chris Crosby is a recognized visionary and leader in the datacenter space, founder and CEO of Compass Datacenters. Chris has over 20 years of technology experience and over 10 years of real estate and investment experience. Previously, Chris served as a senior executive and founding member of Digital Realty Trust. Chris was Senior Vice President of Corporate Development for Digital Realty Trust, responsible for growth initiatives including establishing the company’s presence in Asia. Mr. Crosby received a B.S. degree in Computer Sciences from the University of Texas at Austin.